Yes, it's possible to own a pair of real pearl earrings with sterling silver for under 40 dollars! 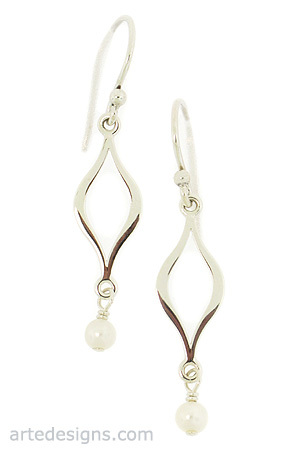 Natural white pearls dangle under a sleek sterling silver design. Pearl is an emblem of purity. It symbolizes love and happiness. Perfect for brides and bridesmaids. Just over 1.5 inches long. Sterling silver wires.